Parking.com has convenient parking for the Grand Hyatt San Antonio. Refer to the map for more information on parking. 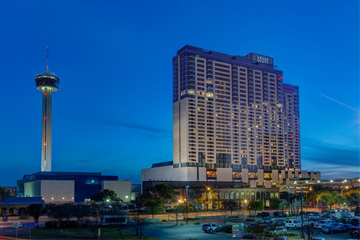 The Grand Hyatt San Antonio is located in the heart of San Antonio's historic downtown, just steps away from the River Walk, as well as the Alamo, iconic riverside restaurants, shops, and more.